This package allow you to install Pilea quickly and simply on a YunoHost server.  If you don’t have YunoHost, please see here to know how to install and enjoy it. That’s it, now wait some days to see data appear ! For now, Pilea doesn’t support users. So all user will see the same data. This seems a very interesting app. Thanks a lot! I just installed it but for now but all graphes are empty, I assume I should wait for a while before it update? Does it retrieve data in the past once installed? Also, I cannot find Paris in the meteo station list, only Orly? Where is the list fetch from? Is there a way to have more stations? 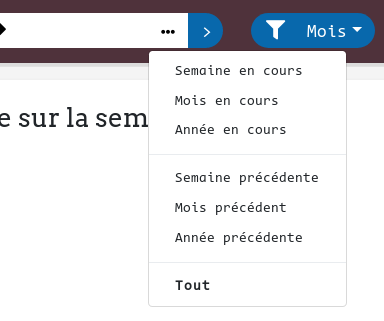 Also, it’s a little unclear what are the fields “Nom du compteur” and “Adresse du compteur” used for in the app? I just installed it but for now but all graphes are empty, I assume I should wait for a while before it update? Does it retrieve data in the past once installed? I didn’t developed this yet. For Linky, data can be retrieve easily, I suppose I can add a field asking from when you want to retrieve data when you set up a Linky. It 's not used yet, in the future I want to let users add several Linky that’s why I need an name, but may be one field could be enough. Arf, too bad it’s one of the most interesting chart ! Is option ‘Courbe de charge’ activated in your enedis account ? By default, this option is desactivated. You should be able to activate from there. I noticed you’ve fixed an error about the period in the upstream app. I’ve upgraded since. If you go back to config page, did the linky & meteo config still present ? 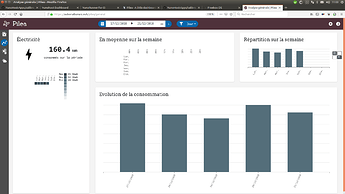 Note that data in the homepage should appear whatever the selection you made. Maybe I should wait a little after activation, or write them an email. sudo -u pilea /var/www/pilea/bin/console pilea:fetch-data false gave me nothing, is there a verbose mode or a log ? EDIT: In the config panel, everything is still there, except the password of course. Well in fact, the normal behavior of the command is to return nothing. to force Pilea to fetch data for the date you want. If everything is ok, it should take at least 10 seconds. If it’s less than 1 second then your feeds aren’t well configured. I also had a look to the database, which is full of data for every hours. So, it’s clear that my pilea can fetch the data, but can’t show them. I tryed to run the command you mention earlier #PILEADIR#/bin/console pilea:fetch-data false but nothing better happen. Also, I don’t have a /var/log/pilea directory? It’s probably a timezone problem, I have to check that. What’s your server’s timezone ? I’m gonna try ti fix it next week ! You maybe have the same error as @Maniack_Crudelis. So same question what’s the timezone of your server ? In fact, after a while they did reappear. I think it’s because I’m on a raspberry and I was too quick on refreshing the page, without leaving enough time for it to display the data. How can I send you these files? @Krakinou if Pilea seems to work correctly with you I won’t need your log, thanks ! If it’s not that, can you send me your log file ? Indeed, playing with that menu seems to have unlock the datas on this panel and the others, except the home page. But I’m on my phone, I can try it again later on my desktop browser and check the console if needed.